With so many of us spending the majority of our day, and indeed lives, within the confines of our working environments – office facilities have become paramount to architectural design, which is currently evident at Walker Group’s striking200 Broomielaw building in Glasgow. Conceived by Keppie Design, 200 Broomielaw represents a stunning visual spectacle of superior office accommodation. Providing 80,000 sq ft over nine storeys, that will also include basement car parking on completion, the building forms an integral part of Glasgow’s International Financial Services District (IFSD), breathing new life into an area undergoing its own urban renaissance. Next year Keppie Design will celebrate 150 years since its establishment in Glasgow, and as one of the UK’s leading design companies, it enjoys an international reputation for excellence having designed and built major healthcare, education and commercial projects, as well as providing expertise in interior design, and town and country planning. The company’s attention to detail, which is evident in all its projects including the church conversion to create its own offices in West Regent Street, Glasgow, the Eagle Building in Glasgow, Dundee’s Overgate Business Centre, the new Edinburgh Royal Infirmary and the Ocean Terminal shopping centre in Leith – made Keppie a natural choice for Walker Group. We liked the all inclusiveness of Keppie Design’s approach. The combination of architects, town planners, and interior designers considering every single detail from the size of the building, the materials that best reflect the location, the market we are aiming and the kind of people who will be working-day-to-day within the office; as well as deliberating over what features can be best utilised in order to make a working environment that is both satisfying and productive, said Bruce Walker, Managing Director, Walker Group. Renowned architects Rennie Mackintosh and John Honeyman are among Keppie’s past principals and the company’s philosophy of creating modern environments which have a positive impact on people and their lives has made it one of the most significant architectural resources in the UK. One of Keppie Design’s leading strengths is our ability to understand our clients’ requirements and to be committed to the vision that they want us to create on their behalf. The modern workplace is one dominated by long working hours and that is why we are determined to design office buildings that help to encourage a positive working environment. For example, with 200 Broomielaw the simple rectangular floor plates, with a dedicated plant room at each floor, provide maximum flexibility for the occupiers – allowing them to create for themselves an environment and atmosphere conducive with their work ethos. 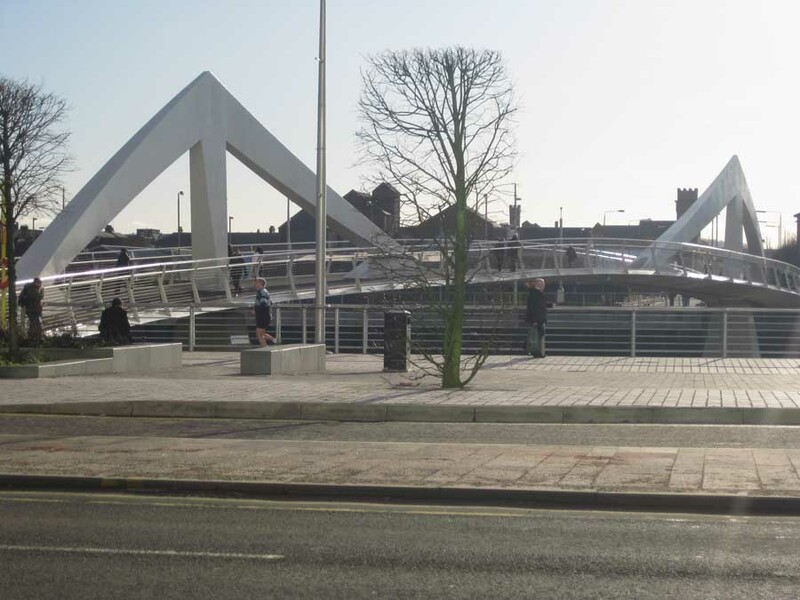 ‘We have also taken into consideration the waterfront location of the building and incorporated this within the design approach . The curvature provided on the river facing elevation, which is reminiscent of waves in water, is a subtle reference to the site’s former occupant, the city’s Seaman’s Mission,’ said Babak Sassan, Director, Keppie Design. 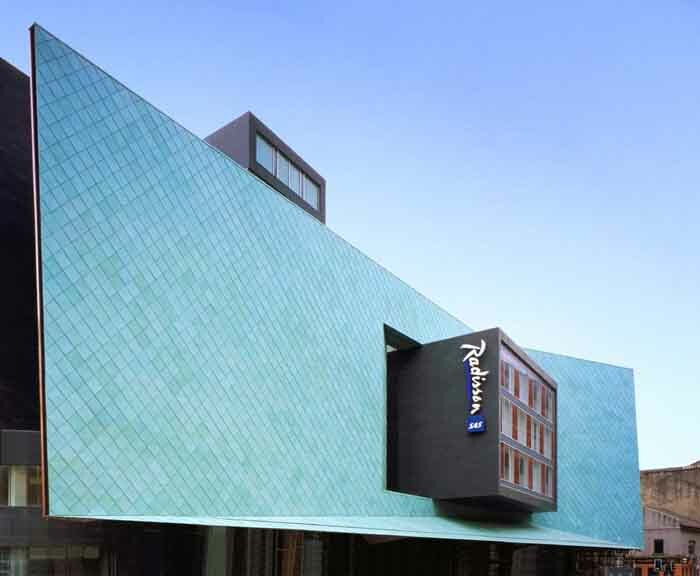 Aside from this, Keppie has also used the unique clashach stone from a Scottish quarry in Elgin to create a striking tower within the atria of the building – with an oval glazed room at the top – set to be one of the most sought after boardrooms in the city, with spectacular views across the River Clyde providing a dramatic and enviable backdrop. The use of traditional stone materials combined with glass and stainless steel in the tower, manages to fuse the contemporary with the traditional, and the circular form of this feature also makes a subtle, modern visual reference to a lighthouse or ship’s funnel – again providing an optical reminder of what this area of the Clyde was once internationally renowned for in the days of Glasgow’s shipbuilding glory. Although 200 Broomielaw makes prominent visual references to the city’s past, it is very much a building of the Glasgow of today – vibrant and modern, but aware of its industrial heritage. 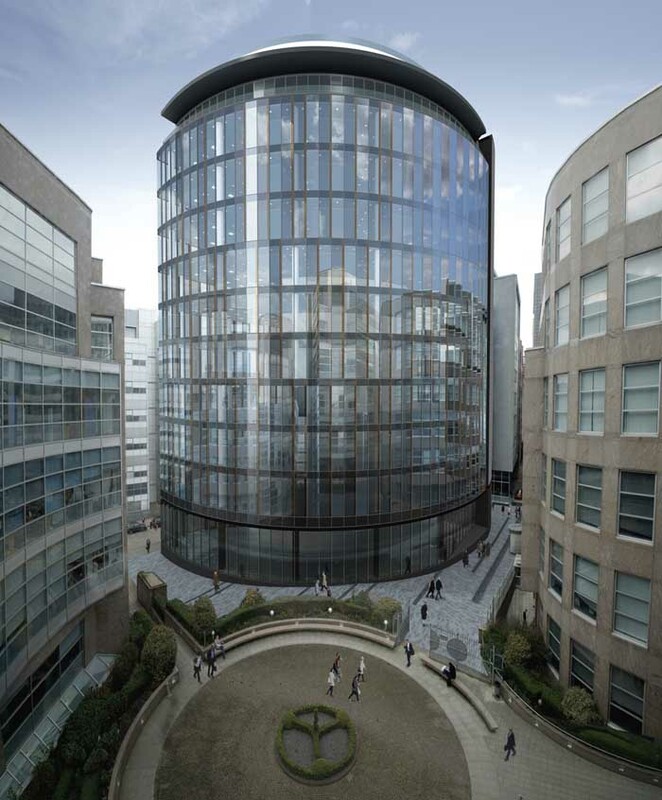 As the anchor building within the IFSD, 200 Broomielaw is a hugely attractive proposition for any prospective tenant within the financial services industry. Keppie’s skilful and thoughtful design for 200 Broomielaw changes the buildings’ character during the sun’s cycle – where during the day the front glass is reflective and light, at night it is clear and transparent. Also, the stone tower can absorb the heat during the day and release it back into the space in the evening, providing eco-friendly assistance to the buildings environmental systems. 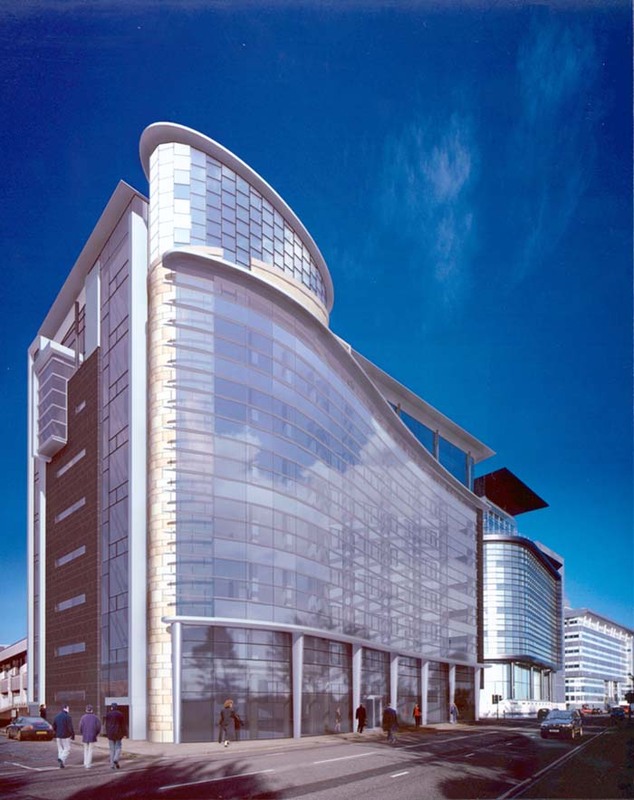 200 Broomielaw has 9 floors of quality office space – each having the opportunity to enjoy the superb views across the river and city due to the all round glazing the building provides. Additionally, the top two levels enjoy an elevated terraced area 70 feet above the ground. Also, unlike previous buildings built along the Clyde, 200 Broomielaw does not turn away from the street. The front curtain wall goes all the way to the floor, providing a level of entry to the building with full visibility into the atrium, but this does not compromise the privacy of the office spaces. Keppie Design has managed to provide Walker Group with an incomparable structure in 200 Broomielaw, both internally and externally, that does indeed have the potential to have a positive impact on people and their working lives. What is now required is a buyer with the same level of commitment, enthusiasm and vision to make this a reality for their workforce.